Georg Anton Benda. Very Good. In very good packaging. 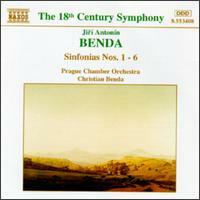 Benda: Sinfonias, Nos 1-6.